Science Discovery Dome is a Mobile Planetarium and Science Education Dome. 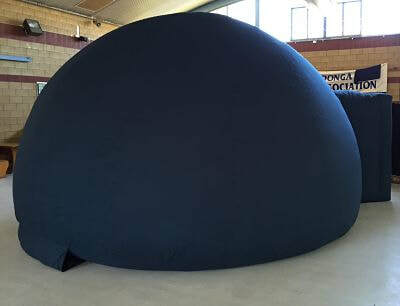 We bring our portable planetarium to your school or organisation, and using a combination of immersive fulldome digital projections and fulldome movies, we teach a variety of Earth and Space Science subjects. Our Science Education Incursions can be tailored to meet your individual needs, and can cover the Australian School Curriculum, for all year levels. Science Discovery Dome Incursions are both educational and fun, and are a great way to help students understand Earth and Space Science topics. 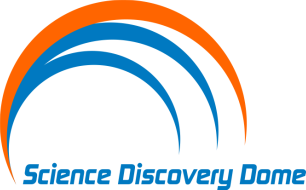 Science Discovery Dome provides educational services to Primary and Secondary Schools throughout Victoria and is also available for after school care, camps, clubs, fetes, festivals, fundraisers, holiday programs, libraries, shopping malls and other special education events. Science Discovery Dome showcases the latest in portable dome technology. Nick, an experienced and qualified teacher, has been presenting Science Education Incursions for over eight years. Contact us on admin@sciencediscoverydome.com.au or 0410 733 663 to discuss how we can cater to your individual needs. Science Discovery Dome has taken over management of Starlab Victoria www.starlab.com.au, which has been operating in Victoria since 1994. Nicholas Burbush, the owner of Science Discovery Dome, was employed by Starlab Victoria and was their main presenter for over six years. All Starlab Victoria customers can be assured they will be receiving the same service, with improved updates to the software and equipment.